You aren't stuck with Siri's default voice! Siri's voice has become almost synonymous to the iPad and iPhone, but it's not the only voice Siri is capable of producing. You can change her accent from American English to British English or even an Australian accent. You can also change from a female voice to a male voice, with each different accent supported as man or woman's voice. The fun part is most people don't know about this trick, which means you might get some interesting stares when you start talking to a Male British Siri. It can also be a funny prank to play on someone if you get your hands on their iPhone. But mostly, it allows you to choose a voice that you prefer rather than just the one Apple decided for you. It's also very easy to change Siri's default voice. Next, tap the General settings in the left-side menu. This is near the top right under the block with Notification Center, Control Center and Do Not Disturb. In the General settings, locate Siri. Again , this is near the top, right under the block with About and Software Update. Tapping Siri will bring up Siri's settings. Now that we are in Siri's settings, tap the option for Siri Voice. In this new menu, you can choose whether Siri's voice is Male or Female. You can also choose between an American, Australian or British accent for either the male or female voice. You can try out the different Siri voices by tapping them. 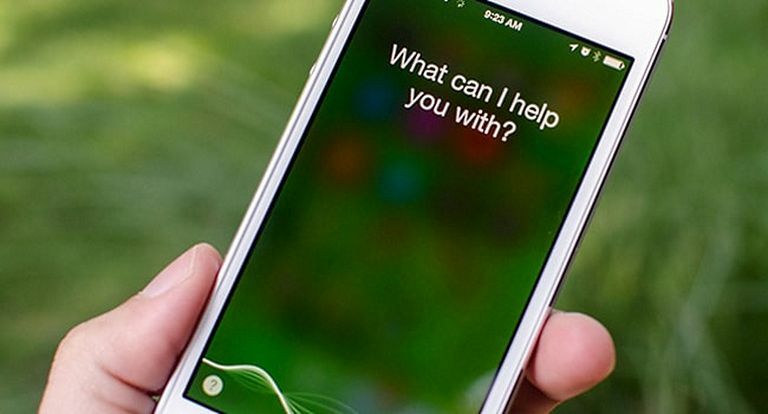 Siri will say, "I'm Siri, your virtual assistant" in the voice and accent chosen. This gives you a sneak peak of what life with your new assistant will be like. Once you have chosen your new Siri accent, the iPhone or iPad will need to download it before the new accent can be used. This should only take a few minutes. There are a few 'hidden' English accents in the language section such as English (India) and English (Ireland), but these tend to be rather plain compared to the American, British and Australian accents. You can also choose completely different languages, which is great if you are trying to keep up your Spanish skills or use French. You can change Siri's language by going back to the main Siri page (tap the < Siri & Search link at the top of the screen) and choosing Language from the list. There are dozens of languages you can choose from German to Italian to Japanese to Russian and many more. Remember, Siri will also listen for commands in these languages, so you'll need to speak Russian to her to get an accurate Russian reply. Don't allow Siri when your device is locked. By default, you can activate Siri when your iPhone or iPad is still locked, which can be very handy. But it will also allow anyone who picks up your device to activate Siri. She won't be able to launch apps without signing in, but she can place phone calls, set reminders, and even show upcoming meetings scheduled. You can disable this feature by going back to the main Siri page (tap the < Siri & Search link at the top of the screen) and tapping the on/off switch next to Allow Siri When Locked. Turn off Listen for Hey Siri. Hey Siri can be great when you are in the car or at the computer and don't want to take the time to press your iPhone's Home button. But it also means your device is constantly listening to you. Don't worry, this voice recording isn't sent to Apple, but it can use up battery power, so if you don't use Hey Siri, it's best to turn it off.